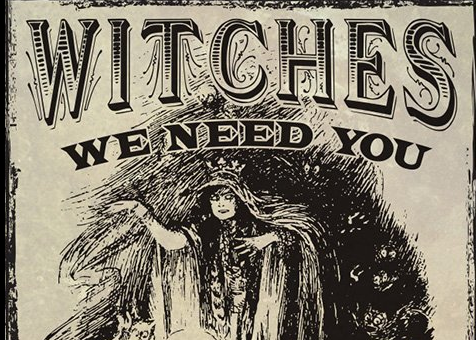 One of America's most widely circulated newspapers published an op-ed Tuesday describing a ritual that thousands of witches have performed called "A Spell to Bind Donald Trump and All Those Who Abet Him." The Los Angeles Times ran the piece, titled "I Put a Spell on You, Mr. President," by novelist and screenwriter Diana Wagman of California. Wagman details her experience casting a spell on President Trump after she heard about an "incantation from the Oracle of Los Angeles." Wagman became intrigued after an email with the subject line "Bind Trump, not your breasts" popped up in her inbox. According to the Los Angeles novelist, the Trump binding spell "movement" started after magician Michael M. Hughes posted an article about his experience. Wagman did her research before she lit her candles but ended up following the "clear, easy instructions posted online." A simple "Bind Trump" google search will pull up the instructions for the ritual Wagman performed, which she details in the Times. I found an orange candle in a box of multicolored ones we use for our Hanukkah menorah. I printed the required tarot card off the Internet and propped it up. I cut an unflattering photo of POTUS out of the newspaper, and I burned it while chanting the words of the spell. My husband was watching "SportsCenter" in the other room. I stood at the kitchen sink. It took less than five minutes. More time was required to get the components together, although that wasn't difficult–no eye of newt or boiling cauldron required. After performing the ritual, Wagman was discouraged. The House of Representatives passed the Republican health care bill to replace Obamacare, and while Wagman makes clear she does not believe in the devil, she "believe[s] insurance companies are his spawn." Since then, Wagman has slowly started to see backlash against Trump. After FBI Director James Comey was fired, Wagman started to believe the binding spell may be working. "The next waning crescent moon will be May 23. I plan to complete the ritual again, but that's not all," she writes. "I'll keep signing petitions, calling my representatives, sending donations to the American Civil Liberties Union, and marching to City Hall. A binding spell is fine, but it's not enough." The first "Spell to Bind Donald Trump" was performed in February, according to Wagman. This entry was posted in Culture and tagged Donald Trump, Los Angeles Times. Bookmark the permalink.